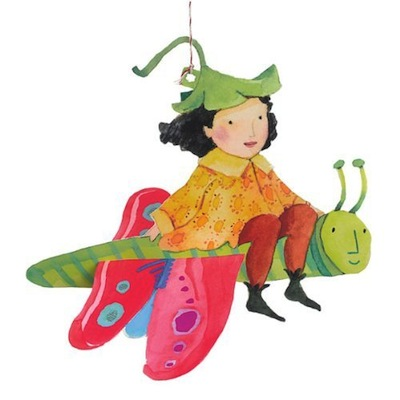 This Gingko Fairy is hitching a ride with her bufflerfly friend. Hang this paperboard decoration from a window or the ceiling to lighten up any room. Comes with baker's string. Approximately 10.25"H. NOT A CRIB TOY!!! Decoration only.